Carpet can make any home feel cozy and warm, but when it comes to cleaning your carpet most people aren’t quite sure where to start. Using chemical-based cleaning products or shampoo process can actually make your carpet unsafe for you and your family. The shampoo that is infused into your carpet will leave your floor sticky which will then attract more dust, dirt and grime. So what can you do? 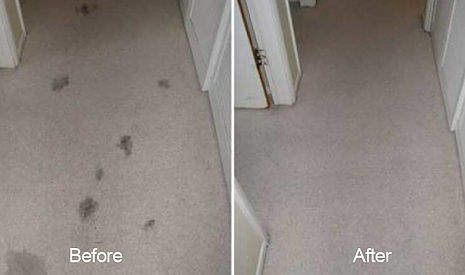 When you allow a professional to clean your carpet, you know the job will get done the right way. At Safe-Dry® of Collierville, we provide you with a SAFE cleaning, fast dry-time, and diligent work performed by highly trained professionals. Our unique process removes every inch of dirt and grime embedded in your carpet without the use of shampoo, heavy equipment or harsh chemicals! It’s the mot effective method on the market…guaranteed! This makes us the best carpet cleaner in Collierville. We offer a natural solution to your problem. We use a mixture of the most biodegradable components that are safe to use, even in the presence of your family members or pets. These components are residue free and will not re-attract dirt. We promise to leave you with a clean and healthy home environment. The best part? Your carpet will be dry within 1 hour of us leaving the home so you and your family can quickly and conveniently resume normal activity! So if you are looking for carpet cleaning services in Collierville, call Safe-Dry® of Collierville today and let us show you what we can do with your carpet!